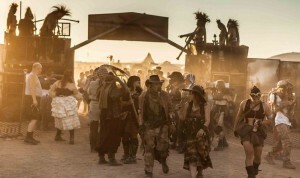 Wasteland Weekend is the world’s largest post-apocalyptic festival taking place in the Southern California desert since 2010. The Wasteland Weekend 2014 (running from the 25th to 28th of September) will mark the fifth year of the event, which is getting bigger and bigger every year. 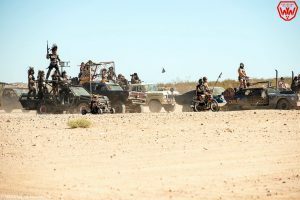 Wasteland Weekend started in 2010 as a gathering for 400 hundred people, with a marked Mad-Max‘s theme (referring to a vehicular-centric world, set in the deserts of a post-nuclear future, with customized vehicles, and make-shift costumes and weapons). 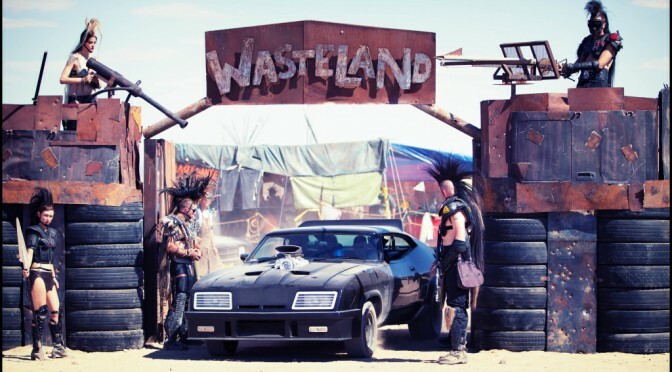 In the years, it has evolved into a much bigger event, with thousands of attendees, and which originates its atmosphere, in addition to Mad Max, on elements of post-apocalyptic culture such as the Fallout video game series, Wasteland 2, and Borderlands, and films like The Book of Eli, The Road, and The Blood of Heroes. Immersion is the key word for this event. 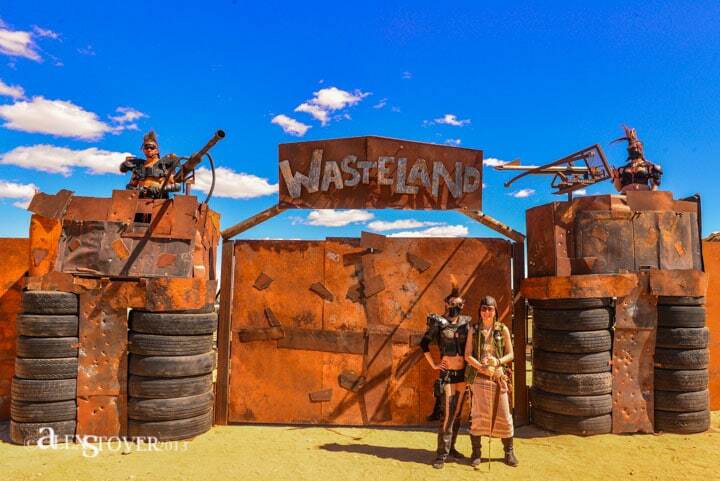 As the head organizer Karol Bartoszynski says, “We don’t have spectators at Wasteland. Everyone is a participant. Our goal is to make you feel like you’ve stepped into a movie or a post-apocalyptic video game for a few days. The ideal is full-immersion”. The desert is an ideal location, and the overall setting is a sort of fortified town filled with themed areas and post-apocalyptic structures such as the iconic Wasteland gates or the Atomic Cafe build out of metal and car parts. All the attendees have to wear post-apocalyptic costumes – the organizers also provide tutorials to prepare low budget post-apocalyptic attires and a workshop in place. People are invited to build and bring their own Mad Max’s style vehicles. They can assist or participate to post-apocalyptic sports exhibitions, and barter for goods. The Wasteland veterans organize themselves into tribes, creating themed encampments where they camp, focusing on various aspects of post-apocalyptic culture (nuclear, ex-military, bio-hazard, vehicles, fire etc), which contribute to the participant-created city-like atmosphere of Wasteland. 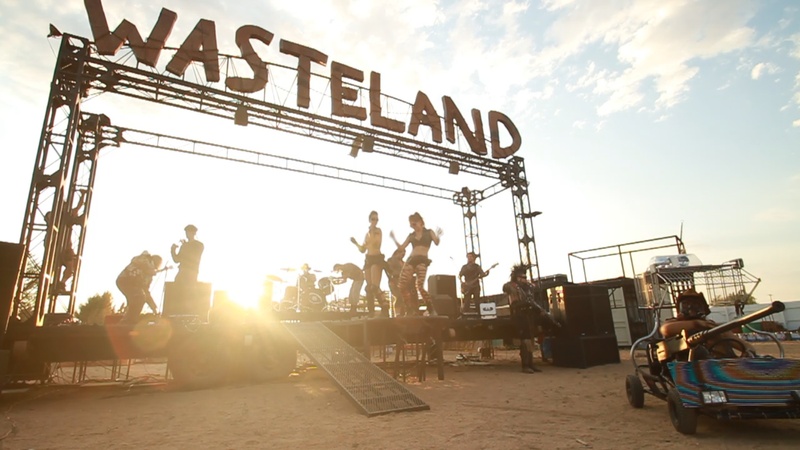 And even the stage itself, hosting the live bands, was built in Mad Max-style, all custom-welded, built around a 40 foot truck trailer featuring huge fire-spewing letters that spell “Wasteland“. 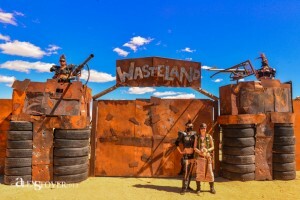 But while the themed environment is one of the most valued characteristic of this event, Wasteland Weekend also provides an official scheduled entertainment, including live music, DJs sets, fire dancing and performances, a post-apocalyptic short film festival, contests and various activities. This is one of the main differences between Wasteland Weekend and the Burning Man Festival, which the Wasteland Weekend is often compared to. 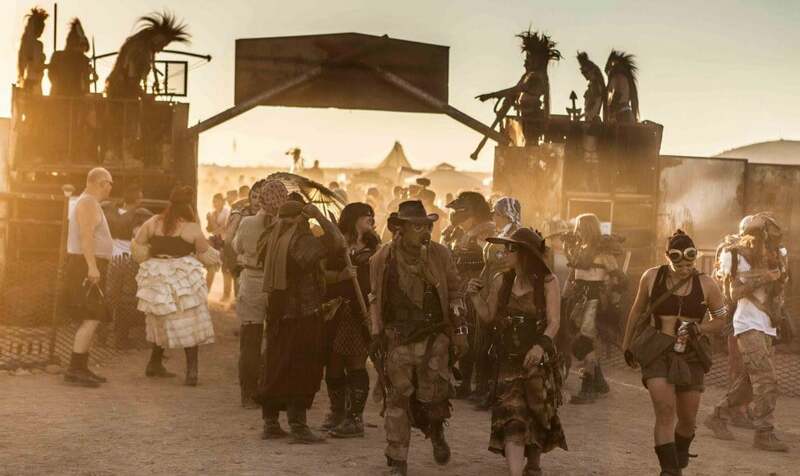 While both are fun desert camping events with costumes, music and themed campsites, there are several key differences that allow the respective organizers to market their own event to a specific target.